"He brings 24 years of rich hands-on experience in development, implementation, and operations of decentralized smart micro-grid projects for livelihood generation in villages. Dr. Ashok Das is the founder CEO of SunMoksha, a company focused on access to energy for smart villages and socio-economic development. He has hands-on experience in development, implementation and operations of decentralized smart micro-grid projects for livelihood generation in villages. He has been working on the ground in Bihar, Jharkhand, Odisha, UP, Assam and Bengal addressing the real issues of energy access. He has developed a novel and comprehensive smart solution for energy access, with real-time remote monitoring & control and demand-supply management. 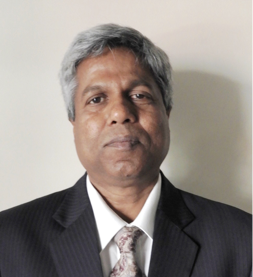 Dr. Das has extensive experience in working with national and international organizations in development sector, such as, the World Bank, UK-DFID, KfW, ADB, UNDP, Ashden IRC, CTI-PFAN, and Climate Parliament. As founding-chair of TiE Clean Tech Forum and a TiE Charter Member, he has been very active in developing the SME ecosystem for clean technologies. Prior to founding SunMoksha, he worked for semiconductor equipment manufacturer, Applied Materials Silicon Valley, for a decade. He then headed the India Operations of a fab automation start-up Aquest Systems, spread cross USA, Taiwan, and India. He received a B.Tech. from IIT Kanpur, India, and Ph.D. from University of Southern California, Los Angeles, USA.